Material:Fiberglass, which has super strong longitudinal strength and very durable with long service time. Easy to cut and install£¬The Size can be cutted as your requirements. Special Features:Antimicrobial Grit-Top,Slip Resistant,Fire Retardant ,Light weight, Impact Resistance, Electrically and thermally non-conductive. 1.Water treatment-Check the aisle,Gutter cover,Large container,Cleaner,Trash rack,Water tank,Biochemical water treatment pool tool,Ventilation window,stairs. 2.Chemical plant cooling tower console pavement-Stairs tread board,Operating platform,Fence,Double floor,Cover plate. 3.Gratings oil industry-Instead of metal grating,Wood platform and covered with cement,Bleaching vat,floor. 4.The valve and other power plants-Chemical water shop floor cover,Waste water pool and other metal surface treatment,Pickling place,Alternative wood floors around the machine,High corrosive containers around,Electroplating line walkway. 5.Double - layer ground marine food processing plant-Greasy surface and other harsh environments. 6.Ship on the transport industry-platform,Ship deck,Military mine clearance boat. 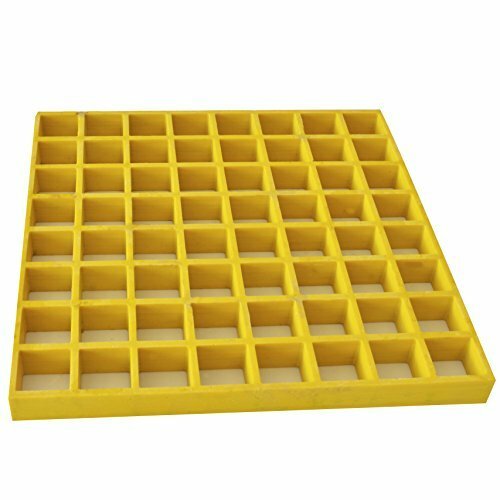 7.Corrosion resistant shelves,Decoration, square fountain, scaffolding, civil construction facilities, aquaculture fence and double floor. If you have any questions about this product by Eco Pultrusions, contact us by completing and submitting the form below. If you are looking for a specif part number, please include it with your message. Plaskolite Lexan Xl 10 Sheet Polycarbonate 32 " X 44 " 0.093 "